The opening words of the child's questions to the father in the Passover Haggadah; the whole of the domestic service of the Passover is sometimes, familiarly, so named. 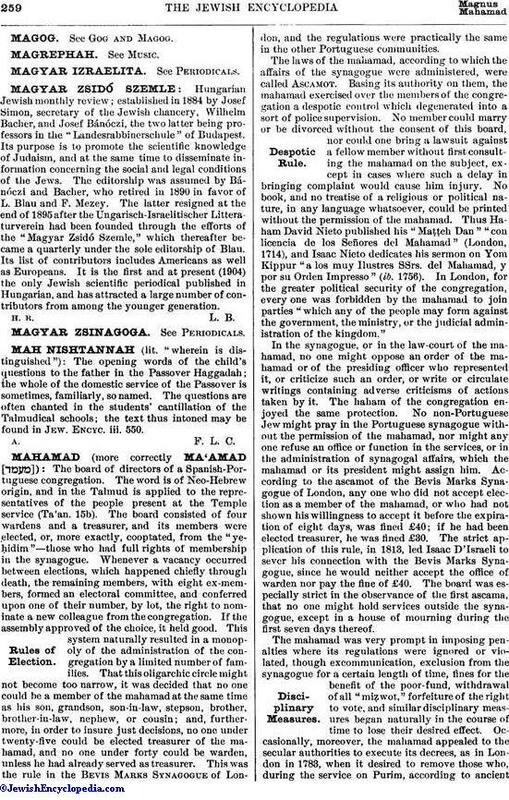 The questions are often chanted in the students' cantillation of the Talmudical schools; the text thus intoned may be found in Jew. Encyc. iii. 550.